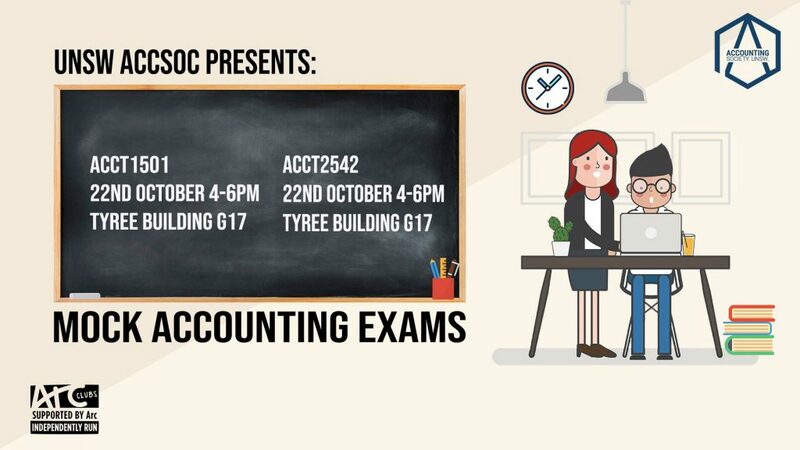 So, if you’re feeling worried about the final exam and would appreciate some insurance, tag along to AccSoc’s Mock Exams! This sem, AccSoc is running mock exams for 2 different accounting courses: ACCT1501 and the notorious ACCT2542! As usual, students will be provided with a practice exam paper and have the opportunity to complete it under exam conditions. If you’re interested in maximising the most out of your marks, register below on the links provided. Remember, it’s never too early to study – we hope to see everyone there!